Graphic a la Design is proud to do their part and you can, too! 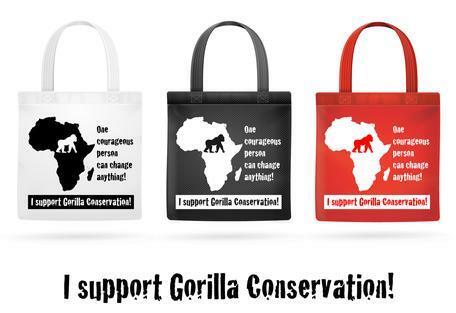 Support Gorilla Conservation buy purchasing one of these tote handbags from the Toronto Zoo Conservation Kiosk. Canglam Natural Beauty offers a complete line of professional quality makeup. All products are cruelty-free, paraben free, allergy tested, fragrance-free, hypo-allergenic, and non-comedogenic Sold online and at Boss Beauty Bar downtown Whitby. Durham Orthodontic Centre in Whitby and Liberty Orthodontic Centre in Markham specialize in braces and orthodontic appliances for adults and children in the Durham Region. Dr. Arun Rajasekaran and his staff utilizes the newest technologies and the state-of-the-art bracket system, self ligation. Graphic a la Design Services: Direct mailer post card and custom made and personalized 6.75” x 4” desktop calendar. Each month contains a sector specific quick fact, holiday reminders and a vibrant seasonal photo, all designed with complimentary colours. 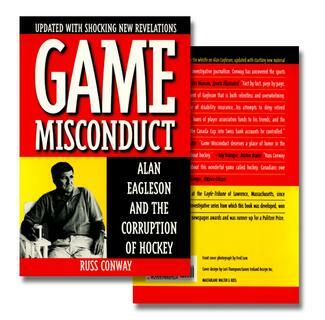 Graphic Design freelance work for James Ireland, Lori Thompson: ​book cover design. 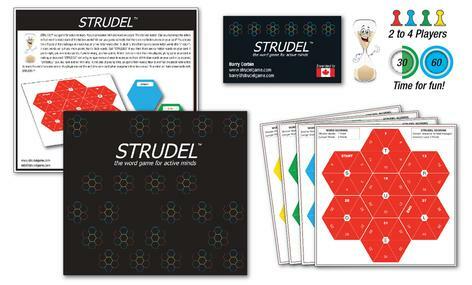 STRUDEL is an anagram word game like no other! Located in Oshawa, Fairy Angel Hair Salon is a warm and inviting home based hair salon that now offers all natural body scrubs and soaps. Graphic a la Design created the logo, business card and various body scrub and soap labels. Merithian Product Corp. (Merithian) is your one stop shop for Maintenance & Repair Solutions. 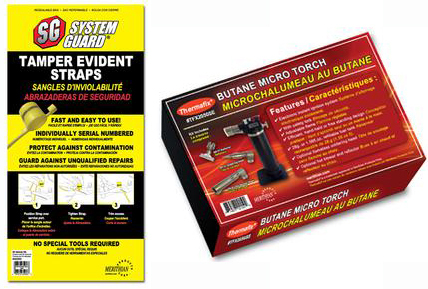 Graphic a la Design created the packaging for the System Guard Tamper Evident Straps in Trilingual resealable polyethylene oversized bags and Thermifix® butane micro torch bilingual packaging. © Content is not to scale. The portfolio pages on this website present Lori’s design portfolio; a small selection of her work. Due to contractual restrictions with some of our corporate and trade clients, not all work is posted. Additional pieces may be viewed on Graphic a la Design’s social media or in person by appointment. Please respect Intellectual Copyright Laws by not reproducing the work of Graphic a la Design without written permission of Lori Thompson.